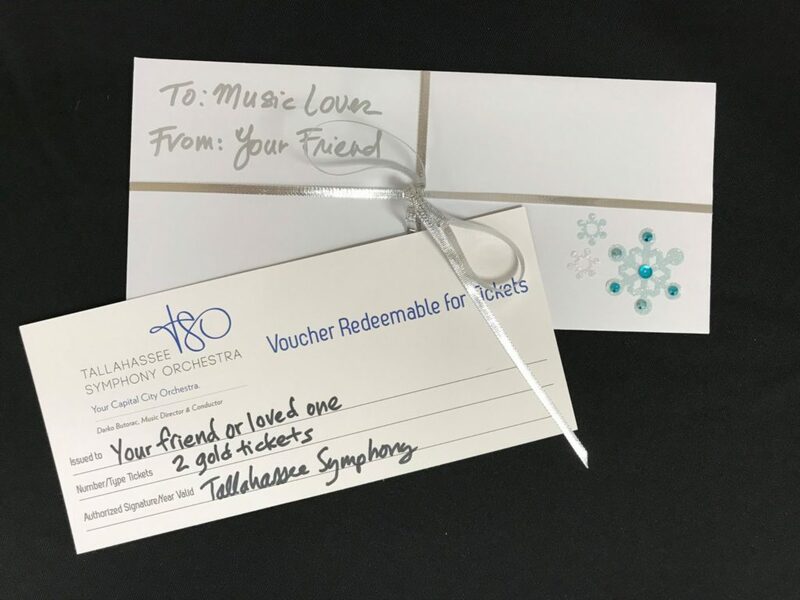 Gift certificates to the Tallahassee Symphony are a great way to share the experience of live orchestral music with a music lover in your life. Gift certificates can be purchased in a variety of values and are redeemable to ANY Tallahassee Symphony concert. To purchase a gift certificate please click here.